SCOTTSDALE, AZ -- (Marketwired) -- 07/31/13 -- TASER (NASDAQ: TASR) today revealed the newest addition to its family of on-officer video cameras. The AXON body camera provides a convenient option for officers who are looking for world-class functionality in a simple design. At just $299, agencies with budget restrictions can now afford top-tier video capability. "We have been very happy with the existing AXON flex and EVIDENCE.com solution during the last two years," said Lt. Tom Peterson, Winston-Salem Police Department. "We look forward to exploring AXON body as a complement to AXON flex." TASER, the market leader in on-officer cameras, created the new AXON body for agencies that value a simpler camera option at a lower price point. The sleek design, wide-angle lens, and automated workflows allow for wearability and easy deployment. "AXON body is a truly disruptive product, offering best-in class features at a fraction of the price of competitive products," said Rick Smith, CEO and founder of TASER. "For entry level users looking for simplicity at the lowest price, the AXON body delivers a ruggedized video option for less than $300. 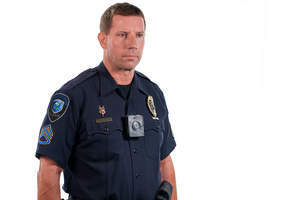 Less capable police body cameras are typically priced in the $700-$900 range. "With the new AXON body and our flagship AXON flex point-of-view system, we now have a product lineup that includes a range from best price to highest performance. "With AXON body, our strategy is simple: we created a camera that is so compelling, at such an aggressive price that every agency can afford to protect their officers. For only $299, every officer can defend themselves from unfounded complaints while preserving an indisputable record of the events they encounter every day," concluded Smith. TASER protects life: TASER Conducted Electrical Weapons (CEWs) have saved more than 110,000 lives from potential death or serious injury. TASER protects truth: We enable greater transparency with the industry-leading TASER CAM and AXON flex on-officer video systems. Together with our customers, we are defining the future of smart policing by connecting intelligent devices and sensors with the first secure cloud-based digital evidence management solution for law enforcement: EVIDENCE.com. TASER® is a registered trademark of TASER International, Inc., registered in the U.S. All rights reserved. AXON flex, AXON body, AXON Mobile, TASER CAM HD and TASER logo are trademarks of TASER International, Inc. The Bluetooth® word mark is a registered trademarks owned by Bluetooth SIG, Inc.